Back when I was a kid, I was the pickiest eater in all the land, I used to hate pickles. They were sour, they were green, they were crunchy and they just were no good very bad things, in my books. All that changed in an quick instant though, when my brother let me in on a little secret: pickles were what made tartar sauce delicious. See, filet o’fish were and still are Kevin’s favourite sandwich from McDonalds. And of course, being the bratty little sister that I was, whatever Kevin had, I had to have too. I ended up eating a lot of filet o’fish. At first, I insisted on them plain, no sauce in sight. Mayo weirded me out and tartar sauce looked close enough to make me squeamish. But one day, I mistakenly got Kevin’s sandwich and it was DELICIOUS. Suddenly my tastebuds just got it. Kevin tried to ruin it for me by telling me that there were pickles in the sauce, but that just made me want to try pickles. Now that I think about it, I don’t even know if he knew that tartar sauce has pickles. I think he just chose pickles because he knew I hated them. 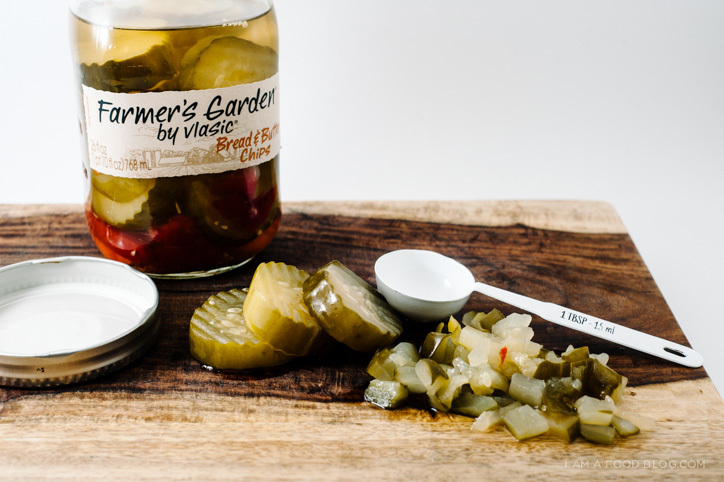 Long story short, pickles are now one of my favourite things – especially in tartar sauce. So when Farmer’s Garden asked me to come up with a burger recipe featuring pickles, I just had to do a filet o’fish with homemade tartar sauce. Tartar sauce is what makes a good fish sandwich and when you mix crunchy, zesty pickle bits, a little brine, mayo and mustard, you’ve got a winner on your hands. 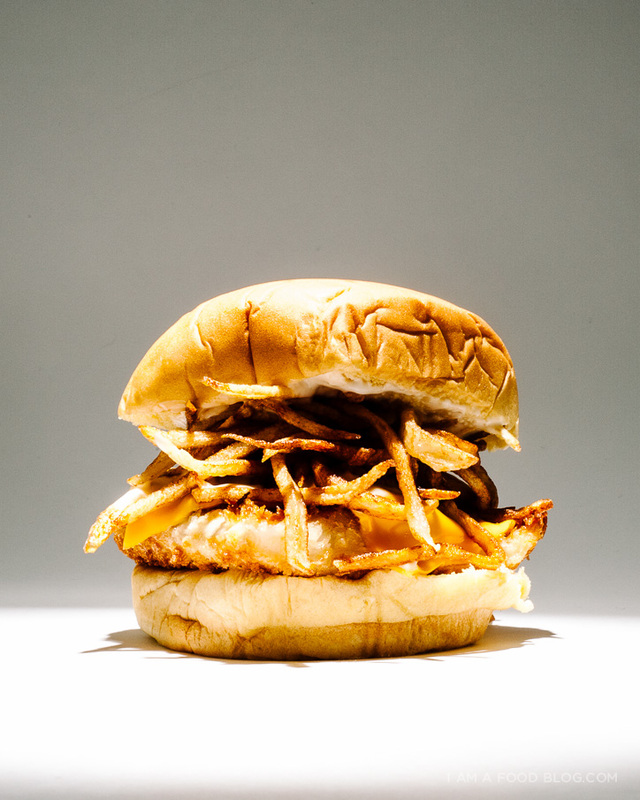 I kept my fish sandwich simple (just like a real filet o’fish) but I couldn’t resist topping it off with some matchstick french fries. 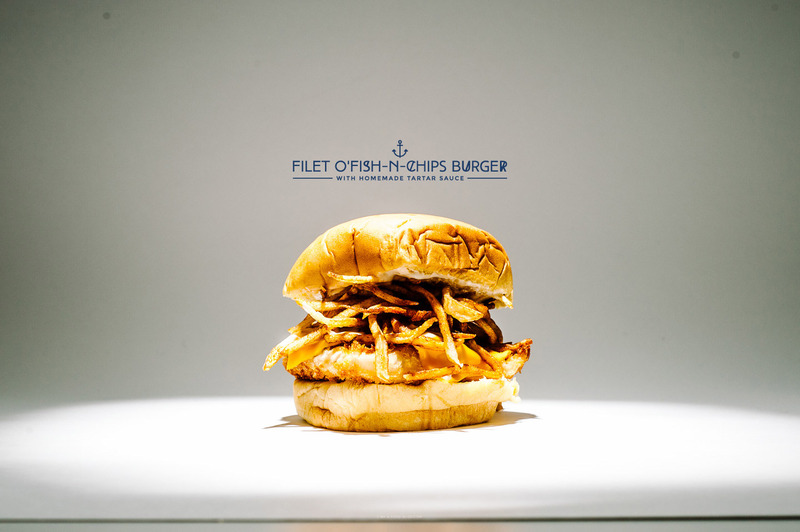 French fries are another favourite of Kevin’s and since it’s his birthday today, I thought I’d make him the ultimate fish sandwich. Happy Birthday Kev! Wish we were eating a bunch of these sandwiches together. Make the tartar sauce: Stir together all of the Tartar sauce ingredients and set aside. Season both sides of the filets with salt and pepper. Lightly dust with flour, then dip into the egg and then the panko, pressing to make sure the crumbs adhere. Heat up a bit of oil over medium high heat. When hot and shimmery, add the fish and cook until golden brown, crisp and cooked through, about 2-3 minutes per side. 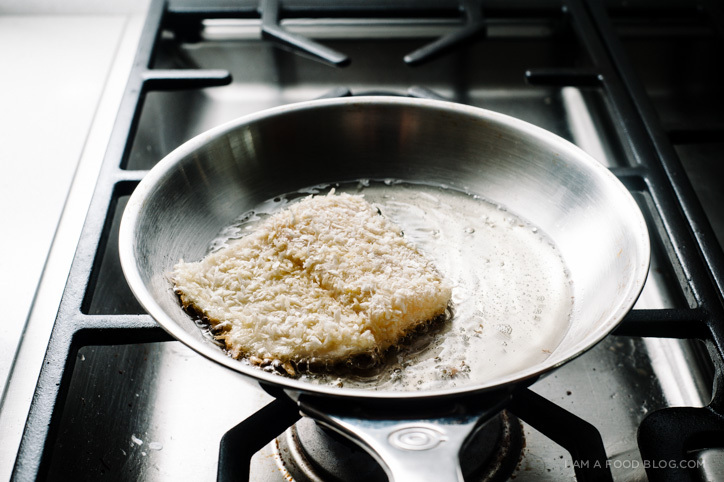 Remove from the pan and top each fish patty with a slice of cheese. Spread tartar sauce on the top bun. 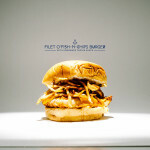 Place the fish patty on the bottom bun and top with the fries. 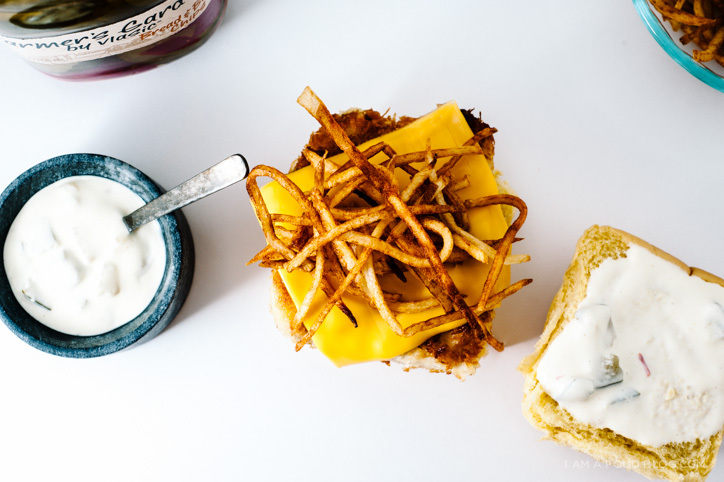 Place the bun on top to close and enjoy immediately. 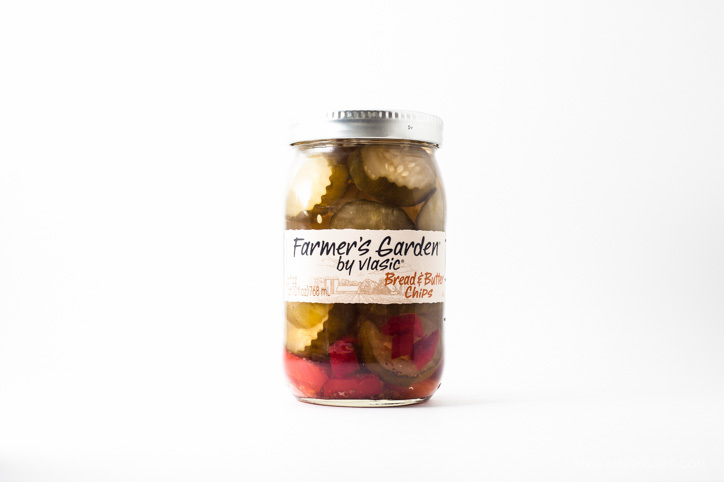 This post was sponsored by: Farmer’s Garden by Vlasic, super cute homestyle canned pickles in a mason jar! I used Bread & Butter Chips, but they also have Zesty Garlic Chips, Kosher Dill Spears, Kosher Dill Halves and Dill Chips. Check out other pickle recipes here. Way better than any takeout joint! I loved you used a real burger bun not brioche thing. Mouth watering to this Aussie! sometimes i just don’t understand why everyone doesn’t already put fries on all of their burgers! so beautiful, steph!!! OMG. omg. OMG. This is amazing. That’s all. Oh lord I am so hungry now. This might be the most beautiful thing I’ve ever laid eyes on. I loooove Filet o Fish (by the way, do you remember this commercial? It cracked me up a stupid amount back in the day.) AND WITH FRIES! Ahhh. Also, your little sister stories are hilarious. hahaha. Ughhhh I LOVE this and I want a million of them! I love fish and chips and I LOVE tartar sauce and pickles and all of this and oh my god I need to make this ASAP. What?! I thought I was the only person in the world who still participated in Filet-o-Fish Fridays! This is awesome, total game changer. I wanna make one, stat. I am all over this!! Such a killer burger! good lord, woman! 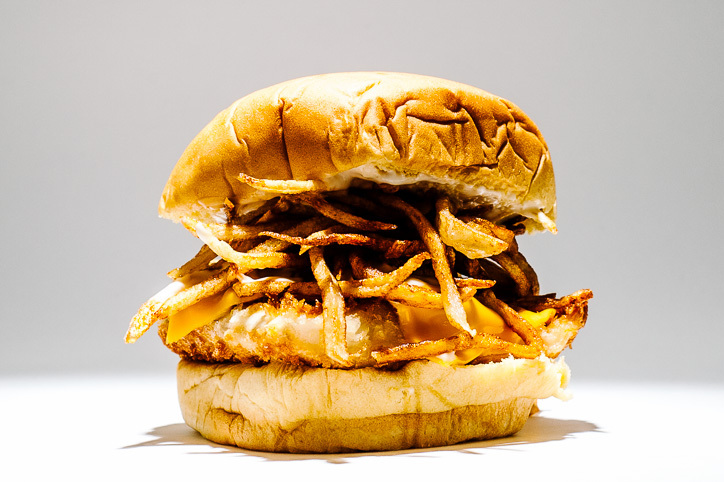 fish and chips in a sandwich? even though we’ve never met, you totally get me. looks amazing! This sandwich looks AMAZING! I will have to try this out!